Chagall: Fantasies for the stage. The new exhibition at LACMA. 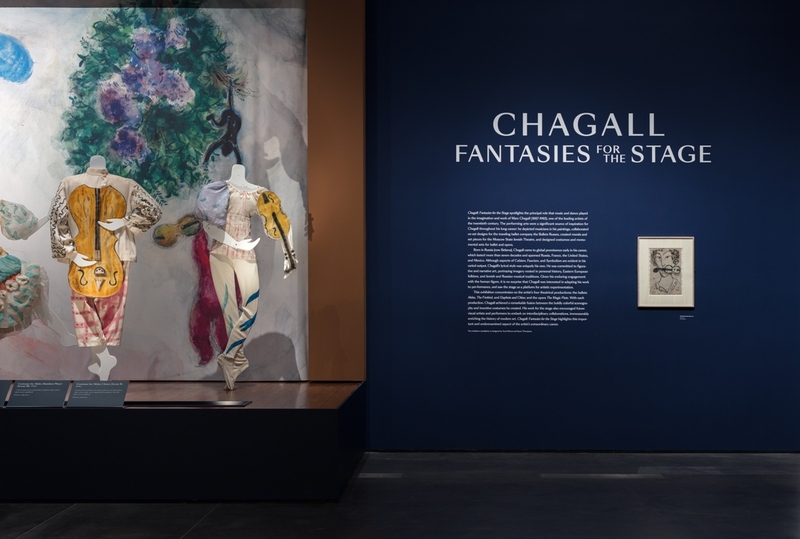 The Los Angeles County Museum of Art presents Chagall: Fantasies for the Stage, the first U.S. exhibition to spotlight the principal role that music and dance played in Marc Chagall’s artistic career. Concentrating on four theatrical productions created over a quarter century (Aleko, The Firebird, Daphnis and Chloe, and The Magic Flute), the exhibition comprises 145 objects, including 41 vibrant costumes; nearly 100 preparatory sketches; rare 1942 film footage of the original performance of Aleko; musical accompaniments for each section; and a selection of paintings depicting musicians and theatrical scenes. 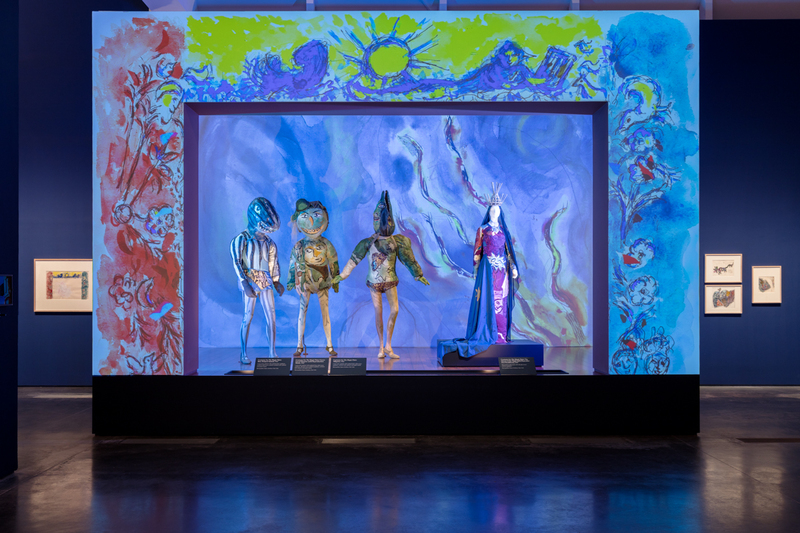 Chagall: Fantasies for the Stage is adapted from the Montreal Museum of Fine Arts exhibition Chagall: Colour and Music (January 29–June 7, 2017), initiated by the Cité de la musique – Philharmonie de Paris (October 13, 2015–January 31, 2016), and La Piscine – Musée d’art et d’industrie André Diligent, Roubaix (October 24, 2015–January 31, 2016), with the invaluable support of the Chagall estate. 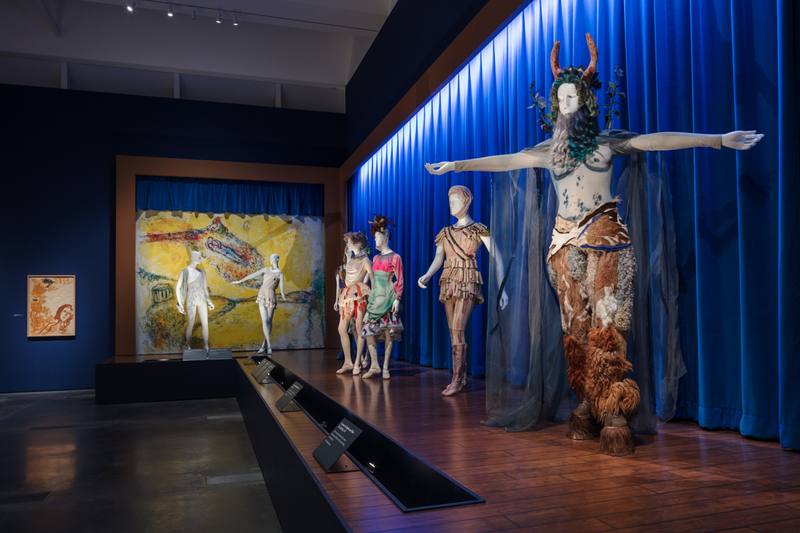 LACMA’s presentation is organized by Stephanie Barron, senior curator of modern art, together with the museum’s costume and textiles curators. Opera designer Yuval Sharon and projection designer Jason H. Thompson have created the exhibition design. In each of the four theatrical productions, Chagall achieved a remarkable fusion between the boldly colorful scenography and original costumes he created. LACMA’s exhibition highlights this important and underexamined aspect of the artist’s extraordinary oeuvre through five main sections. The exhibition opens with 11 costumes and 18 preparatory studies from Chagall’s production of Aleko, from 1942. Chagall and his family, who were Jewish, emigrated to New York in 1941 fleeing persecution from Nazi-occupied France. The following year, the Ballet Theatre of New York (now the American Ballet Theatre) commissioned him to design the scenery and costumes for Aleko, a new ballet based on an 1824 poem by Alexander Pushkin and set to Pyotr Tchaikovsky’s Trio in A Minor. The ballet was choreographed by Léonide Massine, a fellow émigré and former member of the Ballets Russes, with famed dancers Alicia Markova and George Skibine dancing the lead roles. Chagall’s work premiered at the Palacio de Bellas Artes in Mexico City on September 8, 1942, before opening at the Metropolitan Opera House in New York a month later. Chagall went to Los Angeles in the summer of 1943, when the ballet was performed at the Hollywood Bowl. Aleko was meant to debut in New York, but union rules would have prevented Chagall from painting the backdrops himself, so he and the Ballet Theatre completed work on the production in Mexico. Chagall hand-painted the Aleko costumes and backdrops and they have retained their vivid colors more than 70 years later. The costumes for the characters Zemphira, the Fortune Teller, and a Candle Bearer show that Chagall drew inspiration from Mexican styles of dress and traditional textile motifs, as well as from the music, folklore, and poetry of his native Russia. His use of abstract shapes and patterns also testifies to the modernist influence of artists such as Henri Matisse, whose work Chagall had encountered in New York. In 1945, Chagall received his second commission from the Ballet Theatre when the performing arts impresario Sol Hurok decided to restage Igor Stravinsky’s iconic ballet The Firebird, which had premiered in Paris in 1910 at the Ballets Russes. 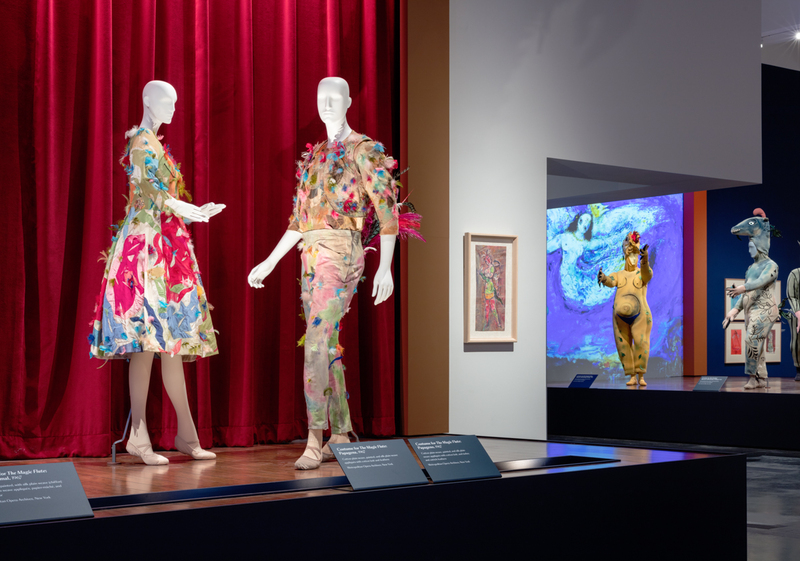 Chagall re-envisioned the stage curtain, sets, and costumes for the ballet, which debuted at the Metropolitan Opera House in New York on October 24, 1945. Chagall’s designs were met with great critical acclaim, and his production of The Firebird is still performed today, appearing as recently as the 2016 season of the New York City Ballet. This section of the exhibition presents eight costumes and 32 works on paper. Chagall’s beloved wife Bella had died the year before Hurok approached the artist to design the ballet. In a profound state of grief, Chagall had ceased making art. 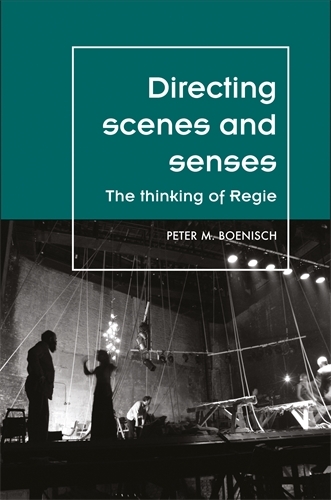 His work on The Firebird marked both his re-engagement with the art world and the beginning of a new phase in his scenography. 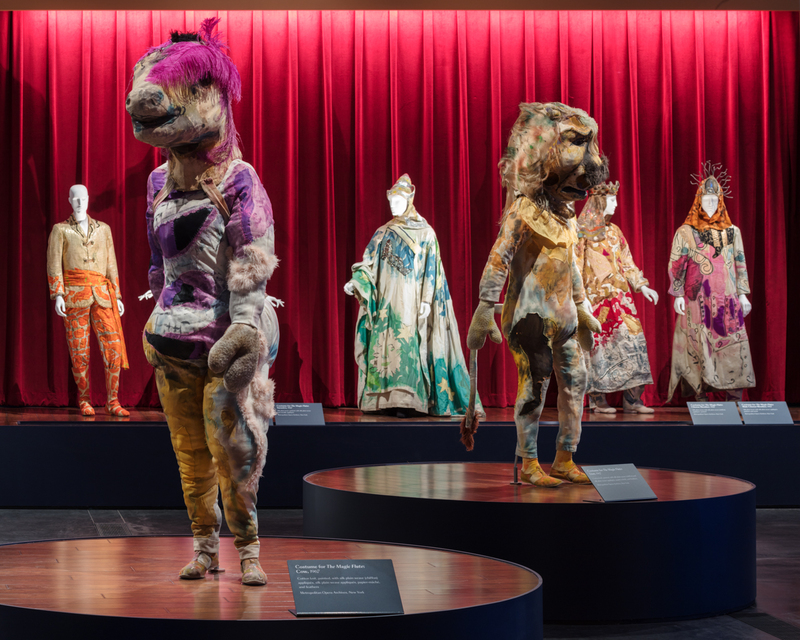 The more than 80 costumes Chagall made for the ballet were his most experimental and avant-garde to date, particularly those for the fantastical animals and monsters that abound in the ballet’s narrative. Working with his daughter, Ida, Chagall employed new materials and fabrication techniques, including a combination of diaphanous and heavy, richly colored fabrics, collage-like appliqués, and intricate embroidery that resulted in voluminous, sculptural forms. Eight years after Chagall returned to Paris in 1948, the Ballet de l’Opéra de Paris commissioned him to design new sets and costumes for Maurice Ravel’s ballet Daphnis and Chloe, which was based on a story attributed to the second-century Greek poet Longus. The motifs and color palette of blues and earthy ochers of Chagall’s stage designs were inspired by two trips he took to Greece, which is the setting for the ballet’s narrative. Chagall’s production of Daphnis and Chloe was choreographed by George Skibine (who also danced the role of Daphnis) and premiered at the Paris Opera in May 1959. The artist’s work on this ballet is represented by eight costumes and 28 drawings. Chagall worked closely with Skibine and the other Ballet de l’Opéra de Paris dancers to harmonize his costumes with their movements and gestures. His designs incorporated shimmering layered appliqués on sheer fabric, and he painted bold swaths of color onto the costumes while the dancers were wearing them in order to emphasize the fluid lines and dynamism of the dance. Chagall envisioned the dancers as mobile elements of his paintings, mirroring the figures he depicted in flight across his backdrops. Chagall: Fantasies for the Stage features 14 costumes and 16 sketches from Chagall’s production of Wolfgang Amadeus Mozart’s The Magic Flute, commissioned by the Metropolitan Opera House for its inaugural season at Lincoln Center in New York in February 1967. Widely praised, this was Chagall’s only work for opera, and he spent three years designing the 14 sets and dozens of costumes. Challenged by the complexity of the opera’s numerous scene changes, stage machinery, and the large number of singers, Chagall conceived aesthetic solutions that emphasized strong color contrasts and striking geometric forms to construct scenic space and communicate The Magic Flute’s dramatic narrative. 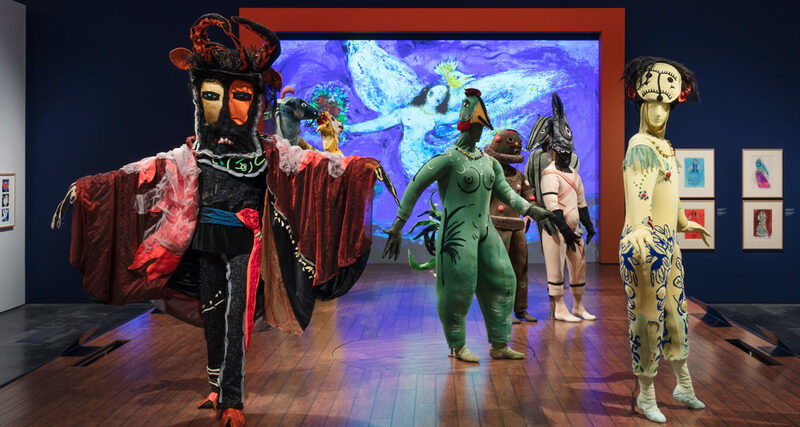 Whimsical and highly imaginative animals similar to those Chagall created for Aleko and The Firebird—and that populate paintings throughout his oeuvre—played an important role in the artist’s production of The Magic Flute. He sculpted each costume by layering richly dyed textiles with colorful fabrics and embroidered lines to emphasize movement. productions, and a reading room. Yuval Sharon founded and serves as artistic director of The Industry in Los Angeles, an acclaimed company devoted to new and experimental opera that has brought opera into moving vehicles, operating train stations, and various “non-spaces” such as warehouses, parking lots, and escalator corridors. Yuval conceived, directed, and produced the company’s acclaimed world premieres of Hopscotch, Invisible Cities, and Crescent City. He also devised and directed the company’s two “performance installations”: In C at the Hammer Museum and Nimbus at Walt Disney Concert Hall. 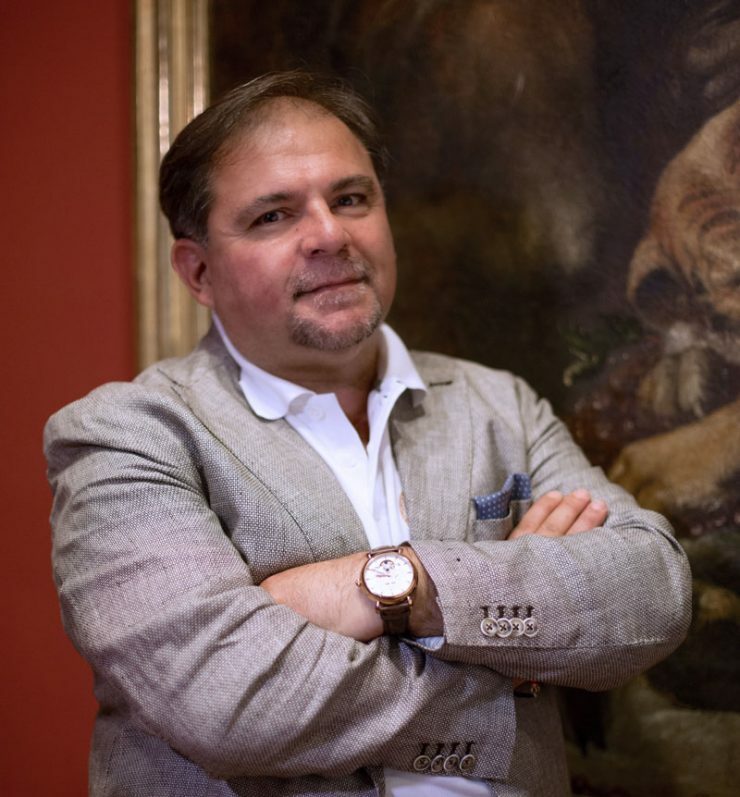 He is currently an artist-in-residence at the Los Angeles Philharmonic. 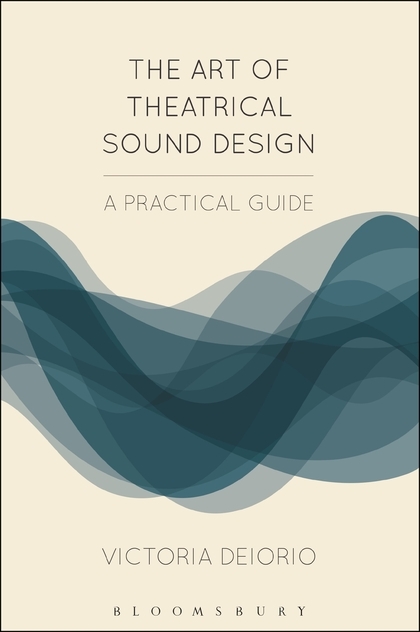 Jason H. Thompson is a visual artist designing projections and lighting for opera, dance, theater, theme parks, and commercial, architecture, and corporate events worldwide. His collaboration with Sharon includes nine unique projects over the course of the past five years.